In searching for a suitable charity to receive this, our first of regular £2000 donations, we were contacted by Dejan McGregor. 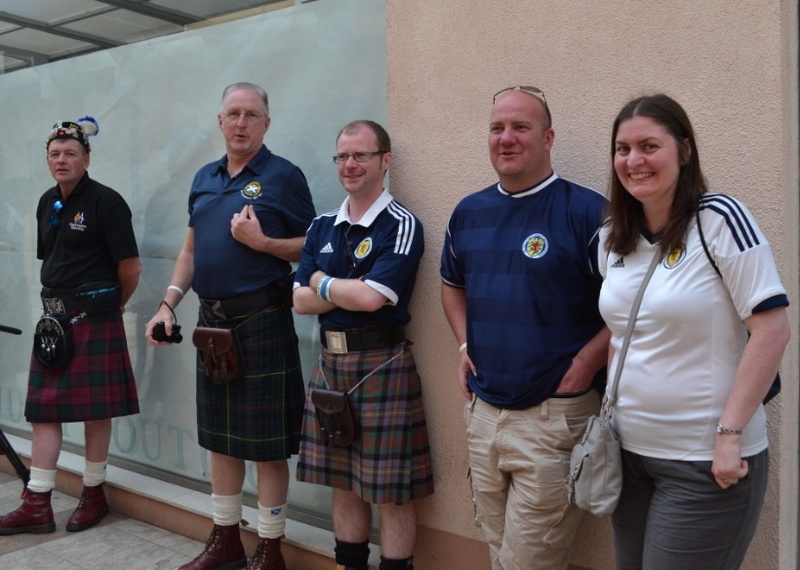 Dejan is a Croatian who has adopted Scotland as his second team and can frequently be seen proudly wearing his kilt and one of his substantial collection of Scotland tops. Dejan suggested that we have a joint donation – and the charity that he proposed was “Pelcic Gore”. This translates as “Thumbs Up”. It is a charity, just recently formed, to provide funds for maternity hospitals in Croatia to buy incubator units for premature babies. A joint donation was made with the Croatian fans contributing 5000HRK (about £575). 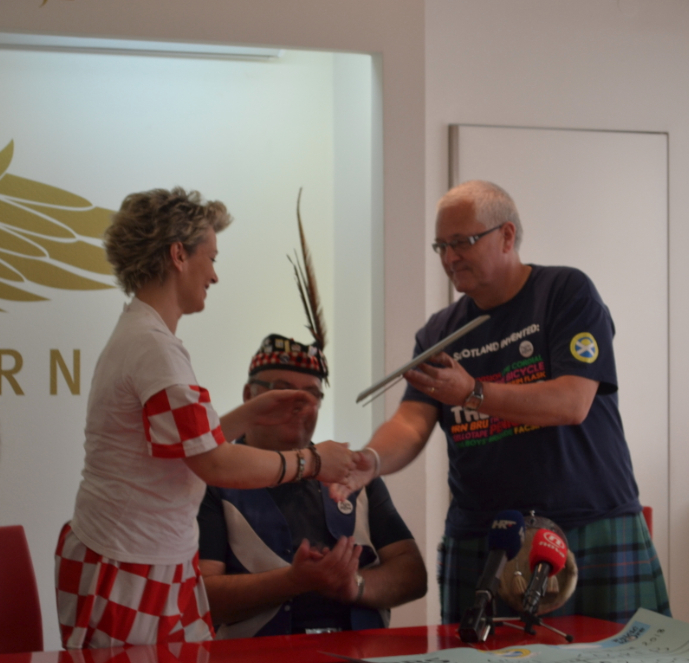 The donation took place in the splendid surroundings of the Croatian Fans HQ in downtown Zagreb.